Michelle was brutally attacked in her locked hotel room in Las Vegas. The police didn't believe her and thought she must have lured a man up to her hotel room for a little sexual adventure, which went dangerously out of control. Michelle sustained visible scars from the terrifying and almost lethal attack, but pure fear motivated the move from her home in California to Hawaii. She's scared her attacker will come back. She's sure the next time he'll kill her. Now she has a successful career and she figures abstinence is an acceptable, if lonely, way to live. Michelle decides that an affair with a wickedly handsome man who moves into her building might cure her of the humiliating, embarrassing, and uncontrollable anxiety attacks which plague her whenever she finds herself alone with a man. How could she know that she made the worst possible choice? Omar Satinov, the man Michelle has chosen, is a secret, whispered legend across several continents. His lure is a mystical religion based upon Witchcraft; his hook, the addictive herbal products he sells his followers. But does he really have supernatural powers, as many of his disciples believe? Normally, the school creates the hunters - not the monsters. Abby Sorrensten likes to play rough. Ripping the horns off the foreheads of demons, manipulating lightning and setting things on fire with the flick of your wrist can give you a serious rush. So she probably wasn't the best choice for the Order's experimental training program. Thirteen years of isolation, lack of affection and a bruised and broken body from horrendous training sessions creates more than just an exceptional fighter, it creates an evil within - an evil responsible for several deaths the night she left. Two hundred years later Abby resurfaces as the very thing the Order trained her to kill: a vampire. A mythical demon has set his sights on the school and only the ordained hunter has the powers to face it. 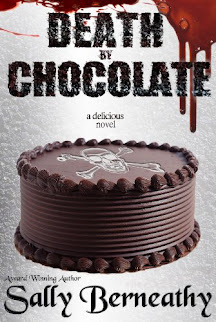 Unbeknownst to the Order, Abby's their precious ordained one and their only chance for survival. As much as she would love to leave them hanging, she's not willing to risk the life of Emily, a fellow friend and hunter also fed up with the organization. But for Abby, locking herself away in a fortress with angry descendents of those she killed causes suspicions and tensions to run high. Abby must learn the demon's weaknesses for battle before the Order learns hers. ORDAINED is the first novel in the urban fantasy series The Immortal Archives. avid has a special friend called Marcus. 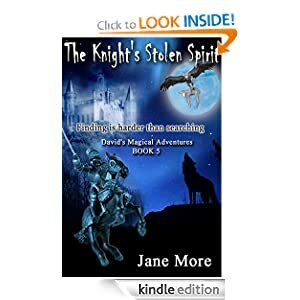 During David's summer holiday they embark on a journey of magical adventures that becomes a tale of spells and witchcraft, dragons and wolves, fairies, witches and wizards, and a frozen marble city. The adventures fast become a series of quests for things long lost. They search for lost brothers. They search for a unicorn. They search for a missing sea serpent's egg. They search for an enchanted lamb. They search for a knight's heroic spirit. Once again they must call on their friends and for help to unravel these mysteries. The heroic spirit of the Lord Defender has been stolen, leaving his kingdom vulnerable and enslaved by witchcraft. How can the spell be broken? They are cursed for their love: he a wolf and she a lamb. How can a wolf rescue a hidden lamb to break the spell? Sometimes finding can involve harder decisions than searching.